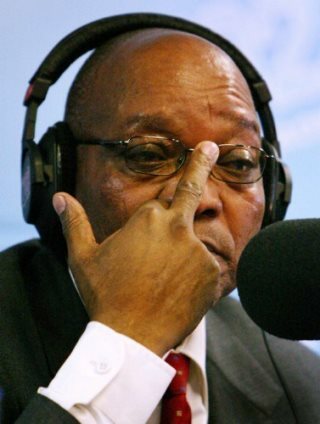 AFRICANGLOBE – There is a lot of screaming on social media over #ZumaMustFall. But if we are really serious about building a better, stronger society, it will take a lot more than removing a president, or chasing hashtags or holding new elections. Richard Pithouse explores. Jacob Zuma is a dangerous man. The relation to the political for which he has come to stand is seriously corrosive. It means a politics of chauvinism. It means the capture of the state by predatory forces. It means economic decline – a decline that will impose the worst suffering on the worst off. It means the decline of the institutions through which democratic promise is realised. It means the repression of independent political forces and experiments. It means, in its materiality, rubber bullets and water cannons. It means torture and, from Durban to Marikana, a return to the use of murder as a tool of social control. It means a future that looks more like Mexico, or Turkey, or Russia – and, along with material and political crisis, living within the sense of rot and decay written into so many of the novels of the post colony. It is true that on the grand stage of history Zuma’s flaws are trivial in relation to older and broader social and economic forces. But that observation doesn’t change the fact that the state is a central actor in society and what the state does, and how it does it, is of vital import. When the deep state is constituted around patronage and authoritarianism effective social projects, and especially democratising social projects, become very difficult. When the deep state attains sufficient power it can place real limits on what can be changed by elections, and even – as in Egypt – some kinds of revolutions. The state, we must not forget, can attain its own set of interests. If the rot that has come to be associated with Zuma continues to spread through the state and the ruling party the prospects for any reform within the party, or for another party to use the state for social purposes, or for popular organisation to discipline and direct the state from below, will become ever more slim. For these reasons the fact that Zuma has been weakened is a good thing in so far as it is a set back to the subordination of the state to an increasingly predatory and authoritarian project. We’ll have to see how Zuma’s overreach, and the consequent damage to his authority and power, plays out in the coming weeks and months. If there is, as it seems at the moment, some possibility of an opening all kinds of forces – forces within the party and forces in wider society, and internationally, will seek to exploit it. We must not forget that there is a large constituency within and around the ANC that is invested in the rot with which Zuma’s name is now indelibly associated. This constituency may not have moral authority in society but it has real power in the ruling party, particularly in some municipalities and provinces – as well as the Youth League, the Women’s League and the Premier League. It should not be taken lightly. There is also a powerful bloc that, in the name of economic rationality, will seek to affirm itself as universal reason, as the general interest, in order to disguise its own long predation on society as a whole. This is emphatically not innocent of race. On the contrary it frequently ties local racism to forces with a global reach. White racism in South Africa often sees the logic of claims about economic necessity (real and imagined) – the authority of markets, investors etc – as the ultimate guarantor of its interests. Forces with a global reach often seek alliances with local elites for their own purposes. This is often (e.g. as in Bolvia, Haiti etc) raced. These forces have real power. There’s a lot of monomania about on social media – people pursuing one concern to the exclusion of all others. If some of us follow some concerns as far as we can it can certainly enrich the conversation and, one hopes, at some point, practice too. We often have much to learn from people that think through one furrow, and do so day after day. But if our concern is to build a better society there has to be some sort of attempt to create the possibility to think all kinds of things together – race and class and gender; economy and society; history, the present and the future; the global and the national etc, etc. There’s also a lot of political comment on social media that is not rooted in participation in actually existing struggles and attempts to build forms of counter-power. This is not always a problem. Ideas come from all kinds of quarters, and anything that can enrich the debate is to be welcomed. But if we are serious about building and sustaining new political forces, the sort of political forces with the resilience to weather the inevitable reaction from the predatory forces within the ANC, and the alliance between local racism and global forces, there has to be some attempt to think from within struggle. Around the world one of the great strengths of politics largely constituted via social media has been the speed within which it can move. But its great weakness has been the lack of the sort of material organisation that can hold a line over the long haul. We don’t have anything like the sort of sustained popular organisation that has been present in, say, Haiti, Bolivia or Venezuela in recent years and yet the fate of the political experiments in these countries shows just how hard the road out of orthodoxy is. The question of organisation has to be taken very, very seriously. In the absence of a reaching towards a synthetic understanding of the various kinds of monomania that seems to rhyme with aspects of the logic of social media it becomes difficult to think holistically. The absence of political thinking that is not grounded in real participation in real struggles, something that also seems to rhyme with aspects of the logic of social media, restricts our ability to dig in for the long haul and build sustained and strong countervailing social forces. Politics, as an intervention into the present, an intervention to the field of power, requires real attentiveness to reality in its complexity and fullness – and the spreading fractures and dynamic forces that render it unstable. It is the art of expanding the possible as well as the art of seizing the possible. It has to become, if it is to be effective, a popular practice rooted in real communities of struggle. It is not about disavowing reality in the name of a pure politics to come, or a redemptive moment to come. Capital does not wait. Racism does not wait. The predatory forces in the ANC and the state don’t wait. It is usually the best organised forces that make the best use of a political opening. It is only in exceptional cases that the forces that are best organised are those that seek to bend the arc of history towards justice. There is always an imperative to organise, to build forms of democratic popular power, and to make alliances across multiple sites of struggle with the objective of building democratizing forms of popular power that can intervene in the social logic of society and strive to subordinate state and capital to the interests of society. But that imperative is now more urgent than it was last week.